One day you’re the insect, the next day you’re the windshield. Such is life itself, and ACC basketball is part of the grand theater of this always-fascinating human existence. Just ask the Virginia Cavaliers, who have lived on both sides of life’s divide in the past 52 hours. Saturday evening, the Duke Blue Devils made a ton of threes, but they also got a lot of 50-50 balls Virginia usually makes. Mamadi Diakite might have gotten more loose balls had he not suffered a concussion. 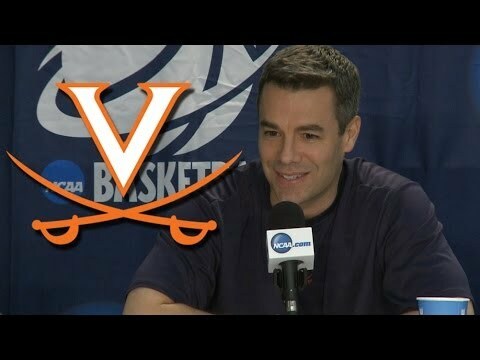 That isn’t the main reason UVA lost to Duke, but it certainly didn’t help the Cavaliers’ cause. Monday night, Diakite had recovered enough to play, and in the first half, he was a hugely disruptive defensive force — in other words, his normal self. Virginia looked whole. North Carolina, however, has rounded into a very good team in ACC play after an uneven non-conference portion of the season. The Tar Heels did something which is not easy: They took a punch from Virginia and threw haymakers in response. A seven-point halftime deficit became a 55-48 lead midway through the second half. A 17-3 run did most of the damage in that prolonged stretch of play. No Joel Berry, no Theo Pinson, not as much graybearded wisdom on this UNC roster, but the kids sure are growing up quickly. What made this Carolina surge even more impressive is that it occurred without Nassir Little, who got injured in the first half. UNC’s starting five was wholly responsible for the run at the start of the second half, and with the Dean Dome rocking, Carolina was set to deal Virginia a second loss in two nights. Then Cameron Johnson got hurt. It wasn’t severe, and Johnson did come back into the game later on, but missing action for even a handful of minutes in a game such as this — with Little already unavailable — limited Carolina’s options and, more to the point, disrupted the rotation Roy Williams had found. It is hard to be harsh toward UNC for allowing a 23-8 run by Virginia to close this game when the Tar Heels had to deal with these disruptions and dislocations in the lineup. This wasn’t the full version of Carolina, much as Virginia without Diakite (or any of its prime players — just recall the UMBC loss last March without De’Andre Hunter) is much less than the sum of its parts. It’s not as though this win means nothing for Virginia. Throughout the ACC, key players are getting injured, and that influences games. Florida State has had to deal with injuries, but improved health has coincided with a five-game winning streak. The Justin Robinson injury has hurt Virginia Tech, but Louisville and Clemson seized opportunities instead of letting them slip by. Now Virginia has felt the sting of an absence on Saturday against Duke and benefited from attrition against UNC on Monday. These are profound pendulum swings of fate and fortune, much as this UVA-UNC game featured several big runs by both sides, UNC’s 17-3 being trumped at the end by UVA’s 23-8. The last good hand won. Hopefully, both teams — and all ACC teams — can be dealt an injury-free hand in the coming weeks, especially at the ACC and NCAA Tournaments. The pendulums need to stop swinging — not in terms of in-game runs, but in terms of teams such as Virginia being hurt by injuries one night and helped the next.